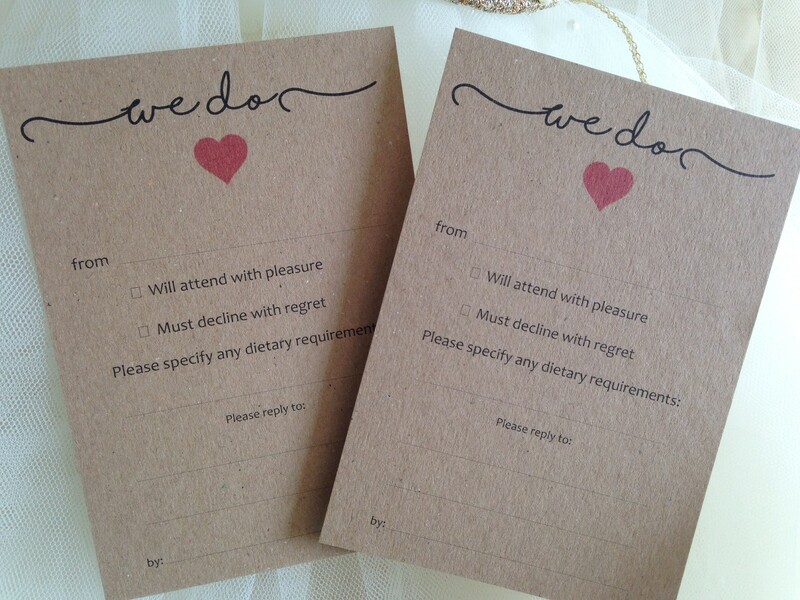 Rustic RSVP Cards – “We Do” design to use as part of producing your own invitation packs. 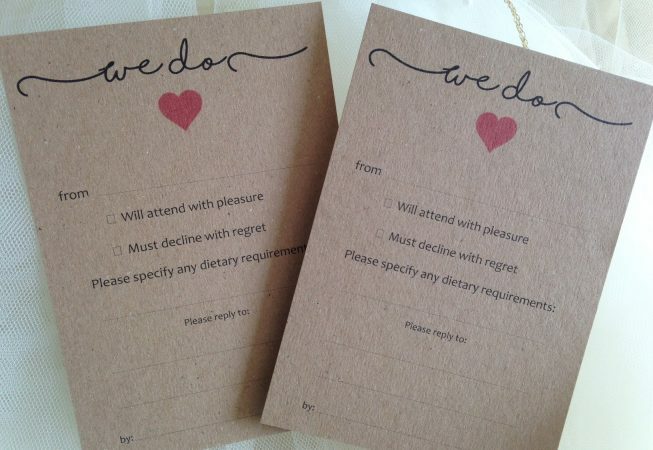 This design comes printed with the We Do and Red love heart. Sold in packs of 20 at £5.99 each. Select number of packs required at checkout.